Mick Rock was the court photographer of glam. Among the (un)usual suspects found in his lens were Lou Reed, David Bowie and Freddie Mercury. 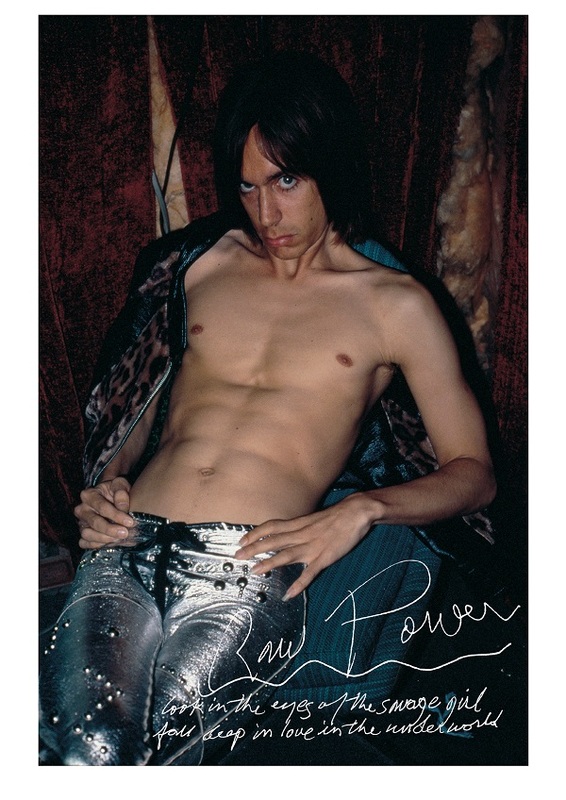 But no one played up for his camera quite like Iggy Pop.The proof is in the six images released today as limited-edition art prints to celebrate the 40th anniversary of Raw Power. 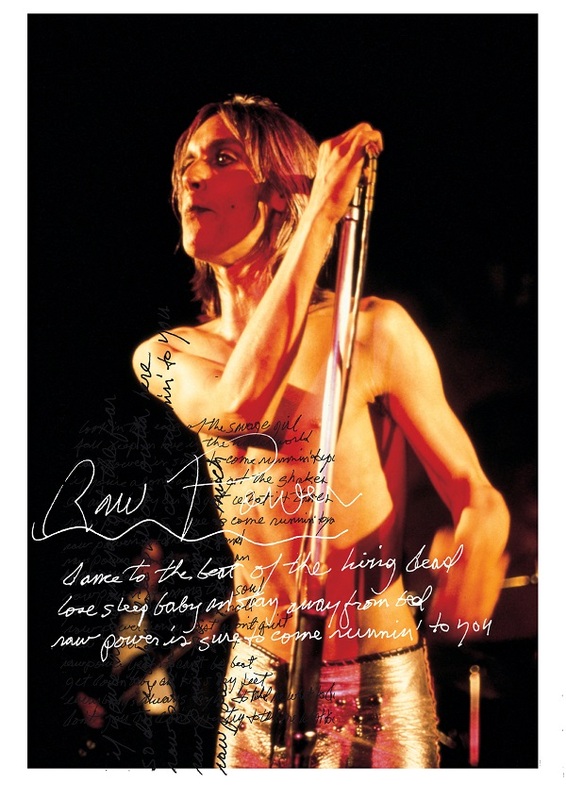 Each of the editions is overlaid with handwritten lyrics from "Raw Power" and "Death Trip", and are individually hand signed by both Rock and Pop. It was Rock who took the first pictures of Bowie licking Ronson’s guitar, onstage at Oxford Town Hall. The image of Freddie Mercury that will survive all the others – the aquiline head, top-list and shot from below – was one of Rock’s. He wasn't in it for the money. He got a hundred quid for the cover shot of another seminal glam cover, Reed’s Transformer. He calls himself an “image-maker”, but the power of these shots of Iggy is that he crept close enough to the look behind the images he constructed. "Here was a 'monster' in the Shakespearean sense," he says. "Elemental, a force of nature. He was like something caged and very angry about it. Something dreamed up by Karl Jung, Dionysius in silver, breaking out." Frequently hailed as an album that fired the starting gun on Punk, Raw Power succeeded despite itself. 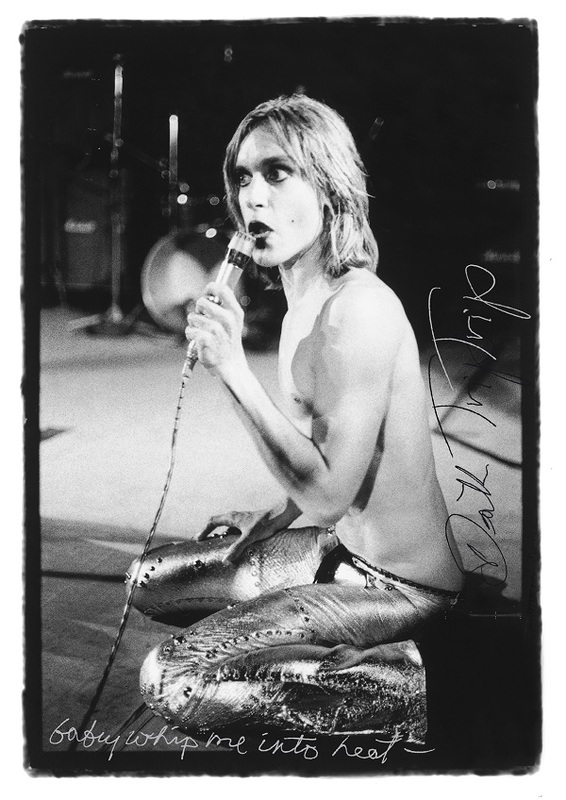 Iggy Pop was in the throes of heroin addiction and the Stooges were in flux, but Iggy (now signed to Tony DeFries's MainMan management alongside Bowie) convened a patched-up band in London in September 1972 and got rockin'. Sadly, Iggy's incompetence at production and mixing left most of the instruments squeezed onto one track (out of 24), his vocals on another and lead guitar on a third. DeFries declared that it would be remixed by David Bowie, who accomplished the task in a single day at the low-budget Western Sound Recorders in LA. The mix wasn't great - Bowie didn't have a lot to work with - but at least it was an improvement. Poorly received on release, Raw Power gradually grew into a legendary artefact, hailed by everyone from Kurt Cobain to Morrissey and its songs covered by Guns N'Roses, the Red Hot Chili Peppers and many more. And it was the start of a close friendship between Pop and Bowie, which helped drag Iggy out of substance-abuse purgatory. The six limited-edition images selected by Mick Rock are available in signed limited editions as archival quality giclee prints. They are overlaid with hand screen-printed extracts from lyric sheets for the tracks "Raw Power" and "Death Trip". 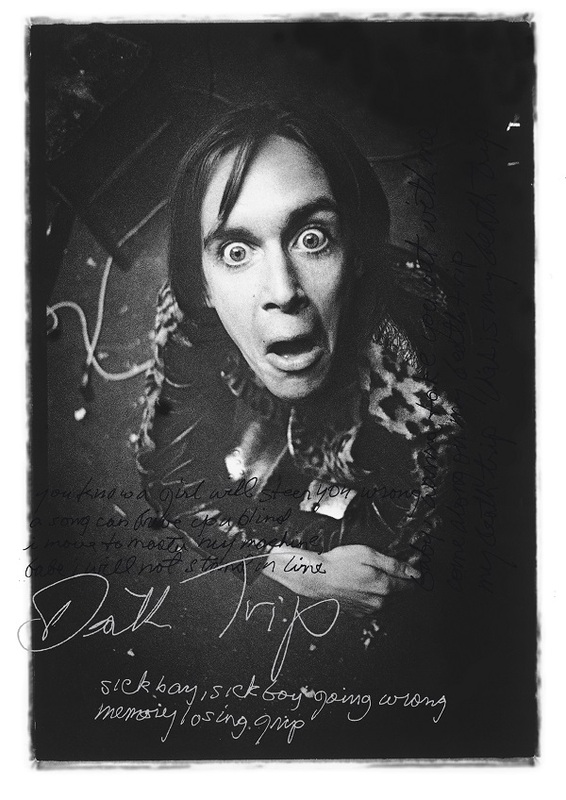 The lyric sheets have been especially prepared by Iggy Pop exclusively for Foruli.